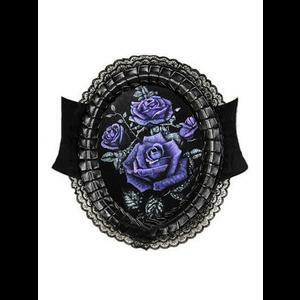 A beautiful gothic belt comprising of a holographic cameo of a purple rose revealing a skull hiding in the centre when the image moves. 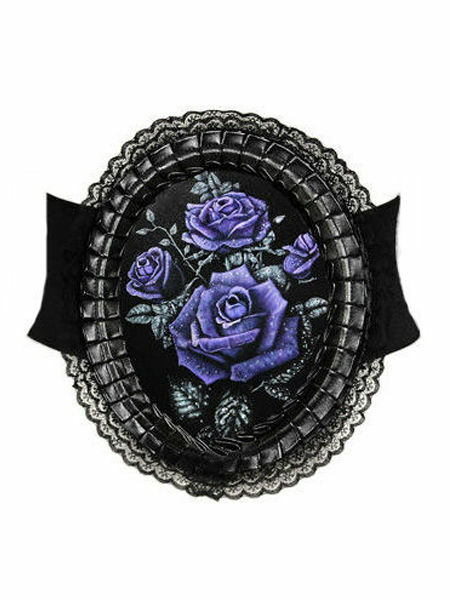 The cameo is edged with ruffled matte black PVC and lace. 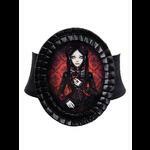 The cameo is attached to wide stretch elastic with a zip fastening at the back with matte PVC edging on either side. 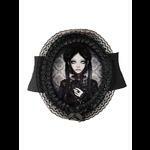 The belt is ideal for breaking up an all black outfit and can also be worn over a corset for a stunning effect.